A guest ranch in Philipsburg will eliminate single-use plastic products in time for Earth Day. The Ranch at Rock Creek will replace plastic water bottles with reusable thermoses and use refillable glass toiletry containers. The ranch, which opened in 2010, covers 6,600 acres of land on the outskirts of Philipsburg along Rock Creek and offers outdoor activities, lodging and meals for up to 125 guests. General manager Jon Martin said a large resort like the ranch has a responsibility to reduce its waste. Stainless steel water bottles and refillable aluminum water bottles provided by Montana Silver Springs, a Philipsburg-based company that uses Alumi-tek bottles, will be distributed to all guests. Biodegradable straws will also be used, and prepackaged coffee will be replaced with local vendors like Black Coffee Roasting Co. out of Missoula. “This is where the world, I think, is going and we’re either ahead of that curve or we’re going to struggle to catch up to it. If we’re ahead of the curve in hospitality and luxury, and in luxury guest ranches in the West, why can’t we be ahead of the curve on this too?” Martin said. 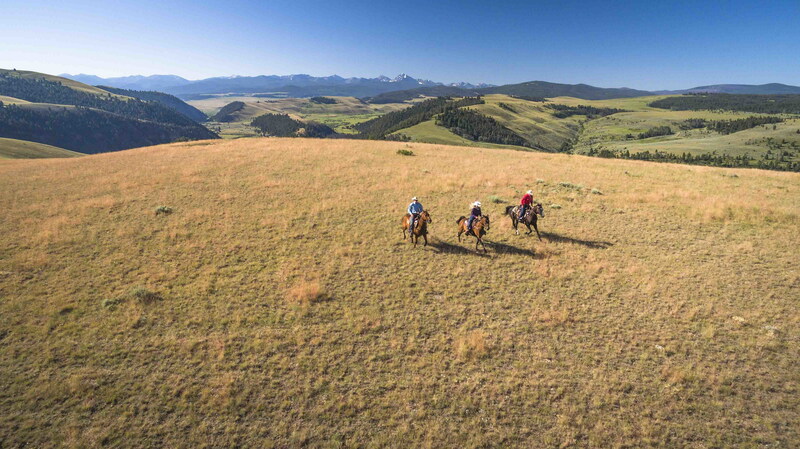 The ranch was also recognized for the sixth consecutive year with the Forbes Travel Guide Five-Star award, pushing ranch administration to better their services by improving the resort’s sustainability practices and taking the big step toward zero plastic. 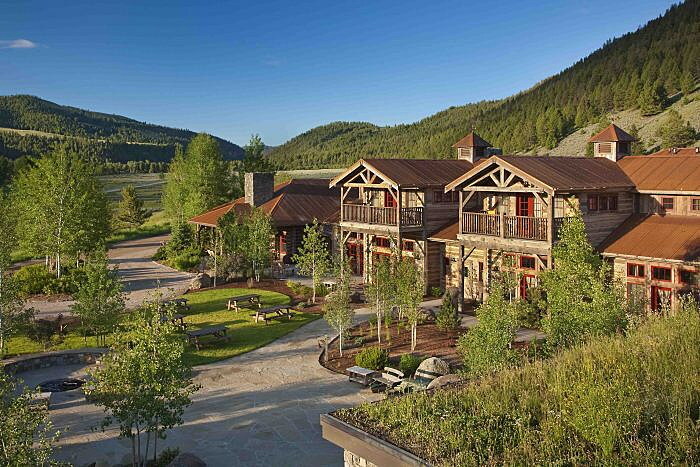 It’s the only resort in Montana that has received the award, which uses more that 800 points of evaluation. “We’re really doing everything in our power to make this transition almost unnoticed by the guest,” Martin said. The ranch also focuses on providing guests with food from local producers, offering organic and sustainable meats and produce. Seventy-five percent of the food served is sourced from local farms, with over 90 percent of meats, summer produce, grains and dairy sourced from western Montana. Employees get around the property by bike and do extensive planting and restoration along the creek. In April of 2017, honeybees were introduced to improve the the ranch’s sustainability program and to highlight farm-to-table dining. Martin said a stronger focus on composting and even renewable sources of energy on-site could be on the radar for the future as more and more resorts in Montana are transitioning to zero plastic and implementing sustainable programs. “I think the more that companies like us can do it, the more it kind of makes others see that it’s possible,” he said.